You have spent a fortune or your life savings and built or bought your dream home in Melbourne. That’s not a mean feat. Alternatively, you are due to a transfer to Melbourne, and you are all excited about your new work station, moving seems not to be an issue. Unfortunately, as the days near, the realities of moving become more daunting. The workload involved in reorganizing, packing, and shifting all your household items becomes real and quite daunting as the moving day approaches. Just like most other people in Melbourne, you know you have the option for hiring professional packers. However, you are wondering whether the costs are justified. Man With A Truck has developed some concreate reasons why you should hire a professional removalist for your move. Hiring a professional removalist such as Man With A Truck, may seem costly, but cannot be compared to the stress, time, and money spent an DIY move. Moving is a stressful activity. Every mover in Melbourne has their normal life and daily routines, moving comes as an additional activity. This compounds your stress and denies you time to enjoy the good things that life offers. Man With A Truck comes in to alleviate the stress and allow you time to enjoy the fine things of life. 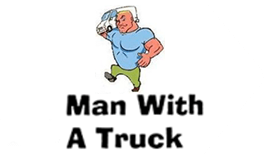 Man With A Truck, a specialist when it comes to moving, can alleviate the pressure of your move, allowing you to think about other things and plan your transition to the new home. Man With A Truck, a professional removalist, can pack your belongings, transport them to your new home, and unpack them for you, causing minimal disruptions to your daily routine. Man With A Truck is not only faster, but possess the experience and equipment to make any move within Melbourne smooth and stress-free. Moving is an activity that is full of activities. There is sorting, dissembling, packing, unpacking and reassembling, and often, some of the activities entail heavy lifting. Rarely is any mover up to such physical activities for months prior to the move. The mover can engage in lighter duties such as the change of address with all the utility providers and decorating their new home to make it more welcome. The heavy work should be left to the professionals who are not only qualified, but possess the right equipment for the job. The professional removalist have the right physique for heavy work and are accustomed to heavy work, unlike the movers who are ill-prepared and ill-equipped. Professionals are professionals and should be left to do their work. Man With A Truck has several years of packing, unpacking, and lifting all household items of different shape and weight. Rarely will Man With A Truck encounter an item that they have not handled in the past. Therefore, they possess the right experience to pack, move, and unpack your items no matter their shape, fragility, or bulk. A professional removalist such as Man With A Truck will save you money by saving you from any breakages and destroyed belongings. In the packing and unpacking of household items, it takes a lot of experience and training to pack some items. Therefore, if you are not an expert, engaging in such an activity may result in massive losses from broken glasses, electronics, diner ware, and glassware. Man With A Truck knows how to pack even the most delicate items for the move, reducing the risk of breakage from impact significantly. Unless a mover in Melbourne is going to carry out some decent research on how to park, they should leave the job for professional removalists like Man With A Truck. Professional removalists in Melbourne are well-equipped to pack and move almost any household item. 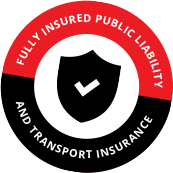 Furthermore, they have all the type of protective gear and materials to ensure that all household items, even the most delicate one are well-protected while on the move. The materials are bit expensive for a DIY mover. The professional removalist in Melbourne buy these materials in bulk, earning a trade discount, which makes them cheaper. Therefore, leaving the packing job to a professional removalist end up being cheaper, since the removalist’s cost savings are transferred to the mover through lower prices.